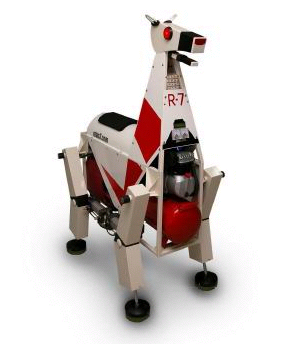 A Korean firm is beginning to market rideable robots, of which the one to the left is one example. Wonder what they will look like and be capable of in another fifty years. Here’s a link. The site is in Korean but pretty easy to navigate anyway.